3 Coin Premium Proof Set - Pre-Order Now! We expect stock to arrive in January. Please note that orders containing this product will be dispatched once all items are in stock. We will not be ordering the standard set from our suppliers. We will likely stock them, but only when purchased on the secondary market. Please contact us to be added onto our wishlist. The 2017 proof sovereign celebrates the 200th anniversary of the first modern sovereign. 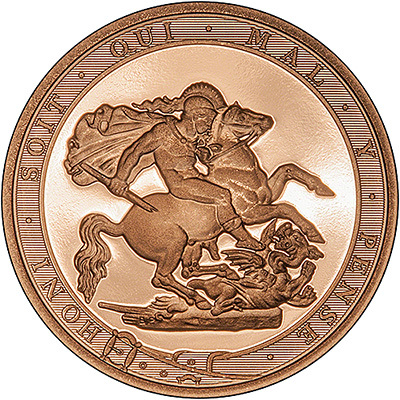 The Royal Mint have remastered the original 1817 reverse design by Benedetto Pistrucci. 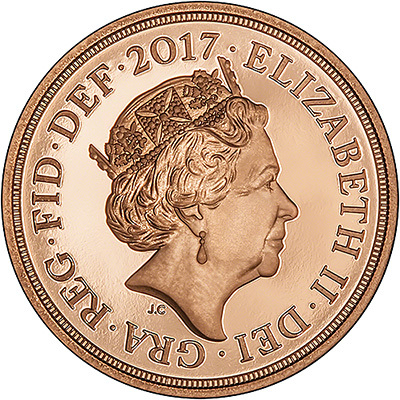 The obverse features the fifth coinage portrait of Queen Elizabeth II, by Jody Clark. This is the first time since 1887 that the date has featured on the obverse of the coin. The reverse shows a remastered St George and the Dragon design. The Royal Mint crafted the tools for the design from the 1817 Benedetto Pistrucci original. 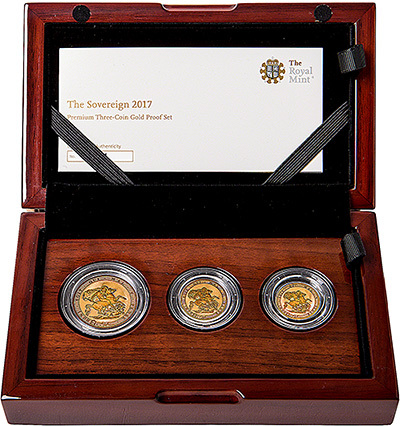 We play an active part in the secondary market for many gold and silver products, including three coin sovereign sets so we would be more than happy to purchase a 2013 (or any other date) three coin set from you. This obviously means that we may at some point have one for sale, so if you would like to telephone us and place an order we would hope to fulfil it with time.